Our firm does not do taxes, even though I did them for 12 years. When I began my practice that was a service I simply did not want to offer. However, we do partner with CPAs and other tax professionals to be certain that the guidance we provide our clients is in line with the advice their tax professional give them. As part of that guidance, there are a few tax advantages that most business owners either don’t know about or simply don’t take advantage of. There are also some “deductions” that should be avoided due to misguided tax information. Here is a list of the five most common. Track all of your expenses including the ones you pay for personally. Business owners always ask me “what about the stuff I paid for on my personal credit card?” Yes it is all deductible; you just need to get it on the accounting records and account for it. Keep in mind that the credit card is personal so don’t add that account to your chart of accounts. They will count as owner or shareholder contributions. TIP: Record these charges monthly so you don’t forget at the end of the year. As a small business owner you are sometimes faced with cash flow issues. As a result you get behind on paying your bills and your taxes. While your vendor may not assess late fees, you better believe the IRS will in the form of penalties and interest. And these my friend are non-deductible. Nope not even the interest portion. TIP: Plug this money leak by paying your taxes on time and use those funds on an expense that is deductible. Most small business owners are so busy working in their business that they never stop to think about what they will do once they retire. I’m not even sure you think about retiring at all. But the fact is you will — one day. So you have to sure to have some sort of nest egg. 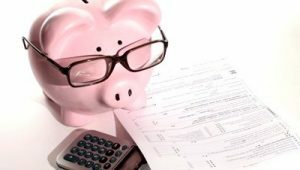 There are several retirement plan options that will allow you to put aside some funds tax free for your retirement and they are all tax deductible to the business. Yes you can have your own company retirement plan. Cool right? TIP: Contact your tax advisor and your financial advisor to discuss retirement plan options. I cannot say it enough – stop co-mingling your personal expenses through the business. They are not tax deductible and us accountants — we know when you try to do it. Believe it or not we are smarter than the average bear. TIP: Don’t co-mingle. The IRS allows you to expense the purchase of a major fixed asset all in the first year instead of depreciating it, baring certain qualifications. You can deduct up to as much as $500,000 and reduce your taxable income to zero. TIP: Hold off buying any and all equipment until December if you can so you can buy just enough and not too much. What tax tips have you taken advantage of to help keep more money in your business?